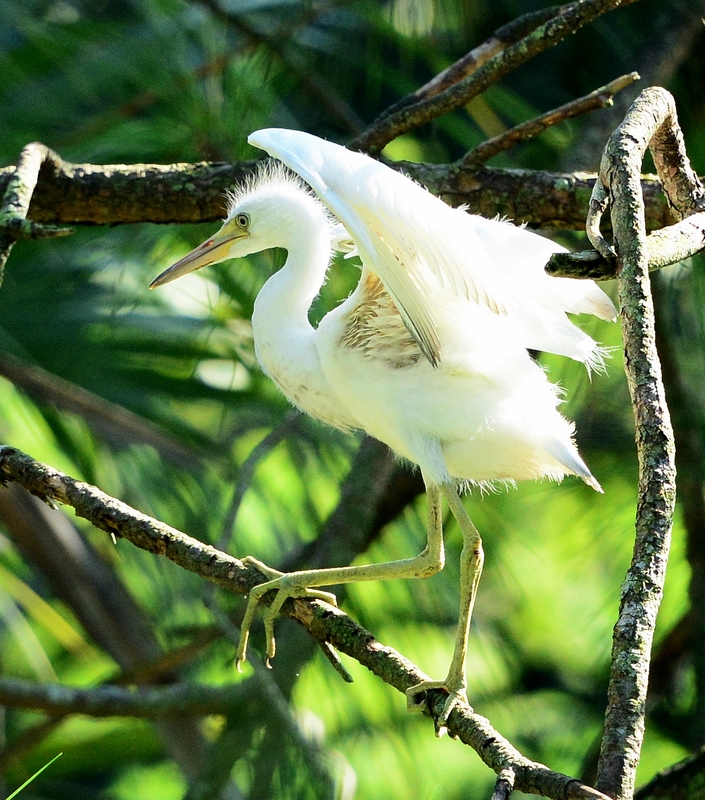 An almost grown great egret scratching. 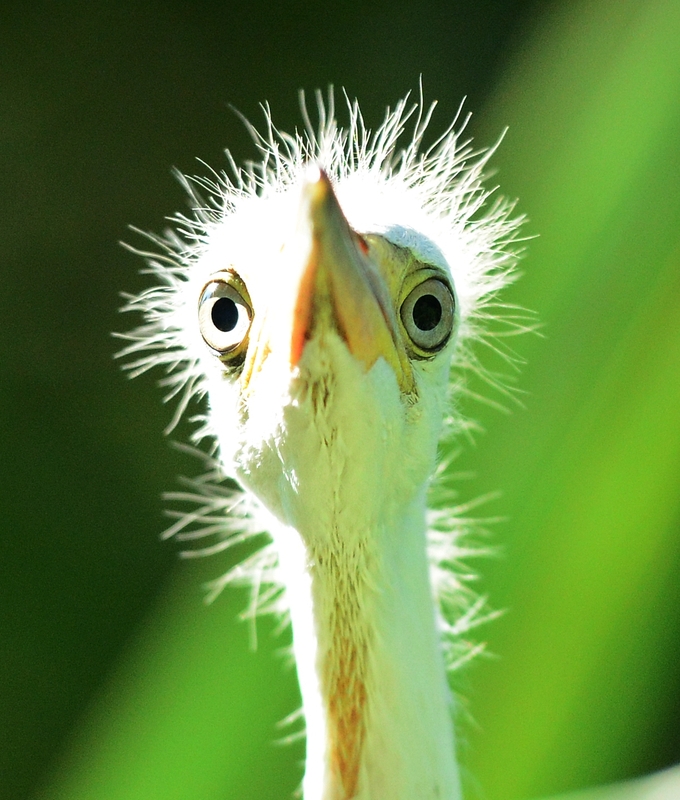 This one must be one of the first ones born at the zoo this spring. He still had just a little bit of baby fuzz on his head. Very young little blue herons were waiting to be fed. 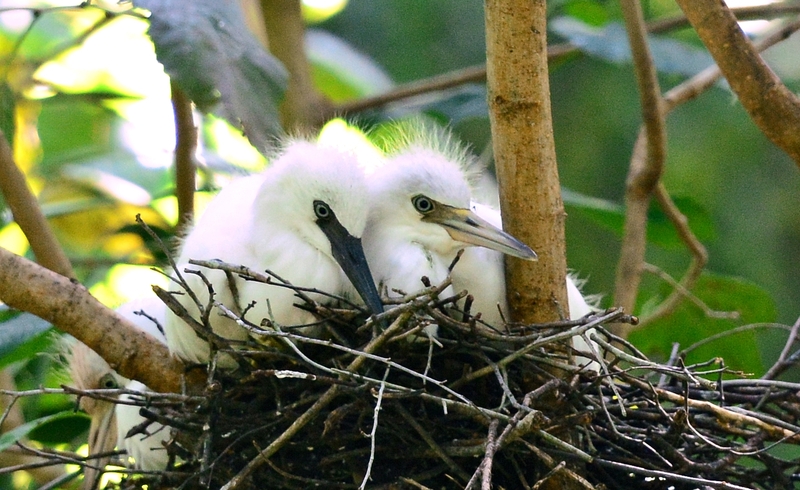 Baby little blue herons that were a little older but not yet flying. They were in lots of different stages of growing up. Screaming “Feed Me” in Mom’s ear. 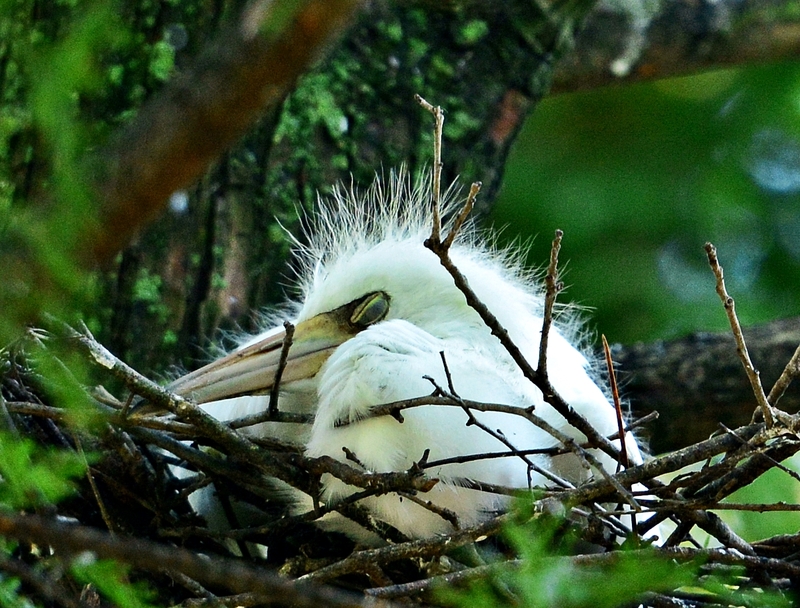 Two baby great egrets still on the nest waiting for a parent to fly in with food. 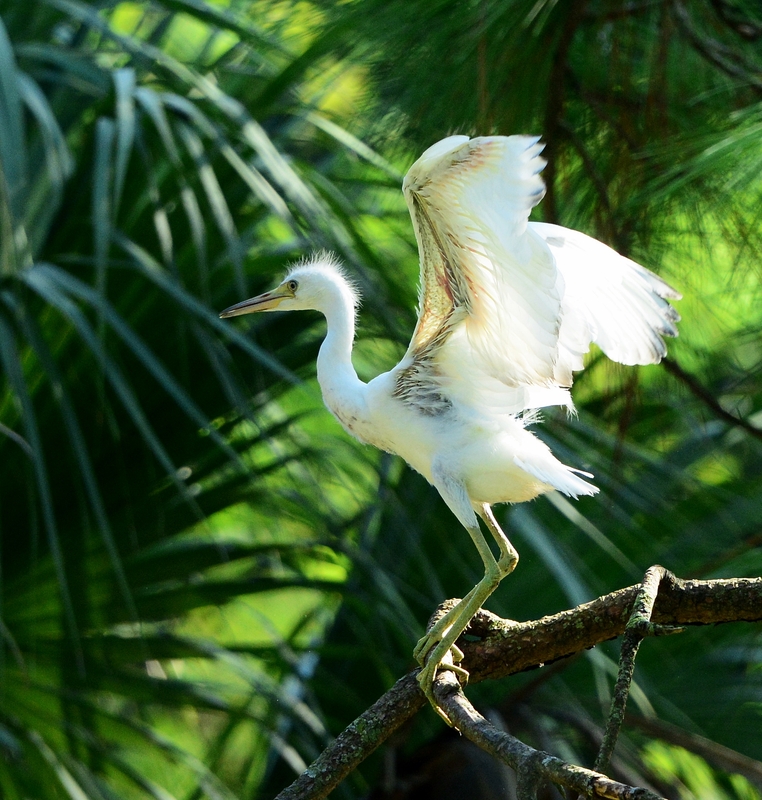 My favorite part of Lowry Park Zoo in Tampa is the bird rookery at the alligator exhibit. It’s much smaller than the one at Gatorland but it’s close to home. The wild birds come in and nest right in front of the exhibit. While all of the kids are oohing and aahing over the alligators I am busy trying to get shots of the baby birds. 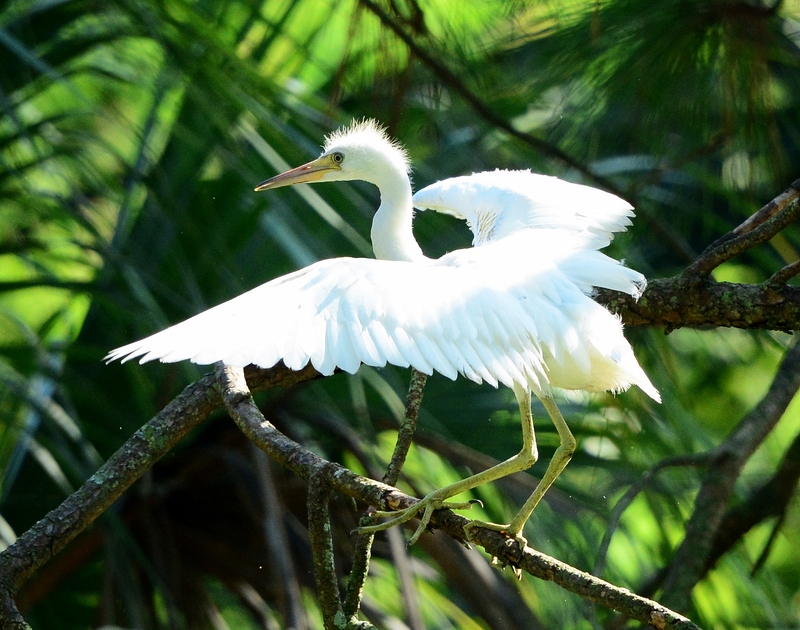 The juvenile little blue heron above was testing out his wings. He was a little wobbly as he moved from branch to branch and he was flapping hard. I don’t think he was quite ready to take off yet but soon. I like the way you can see his bones in his wings. He’s still got some pin feathers underneath there. The ones above are still too young to be off moving around yet. They must have been the last ones born later this spring. There was still a tiny one. 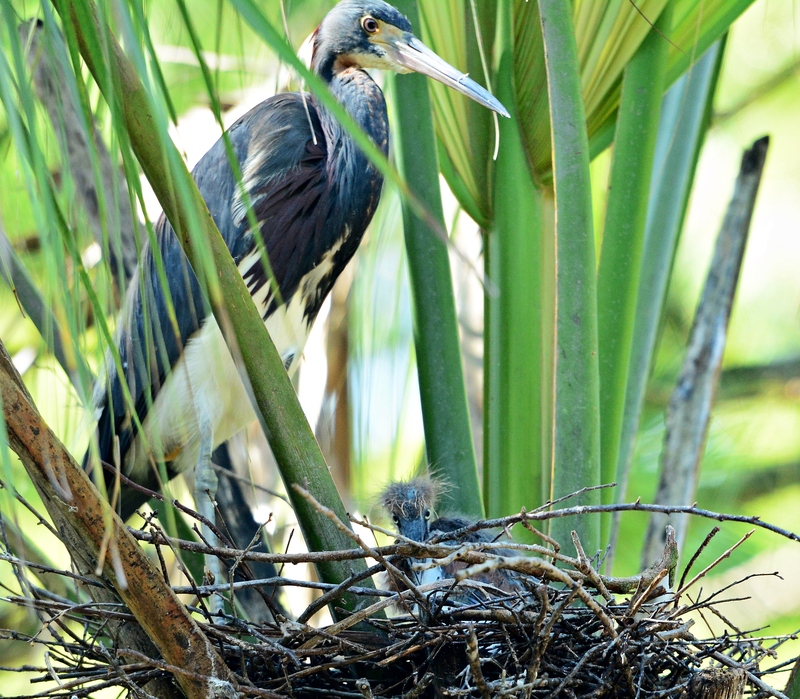 A very late tricolored heron baby with his parent were on the other side of the alligator exhibit at Lowry Park Zoo. 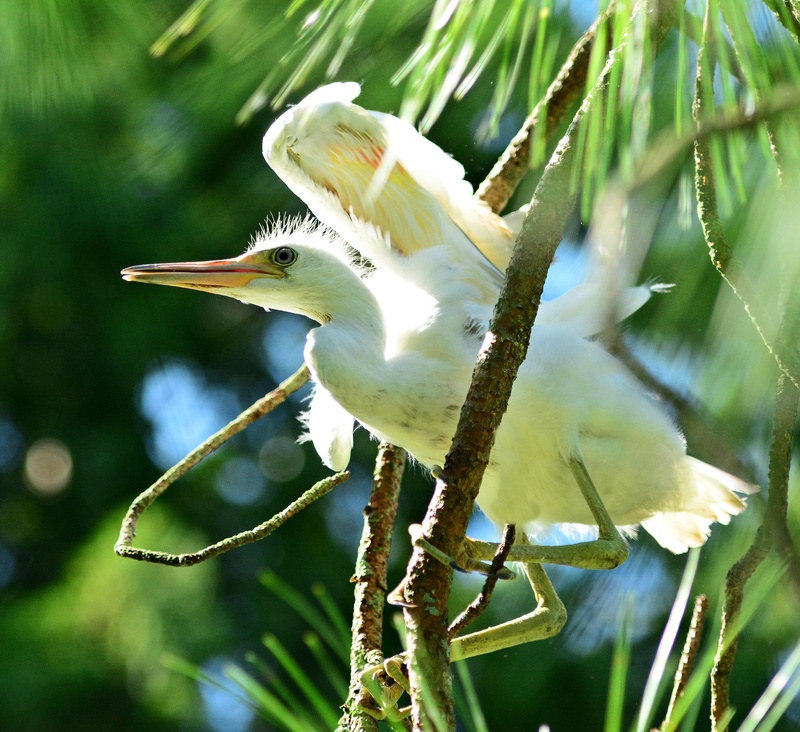 Another great wild baby bird season is coming to a close at the zoo.